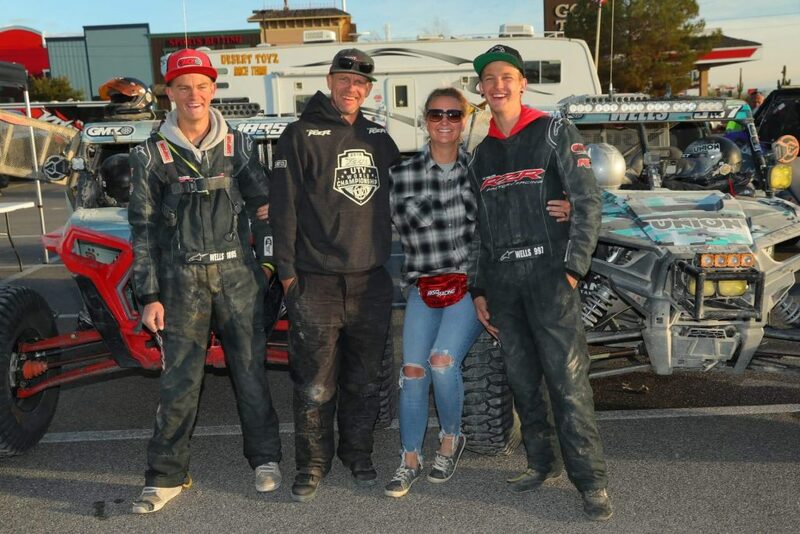 ST. GEORGE — A St. George family who races customized Polaris RZR UTVs recently capped off a successful season with strong finishes in races in Mexico and Nevada. 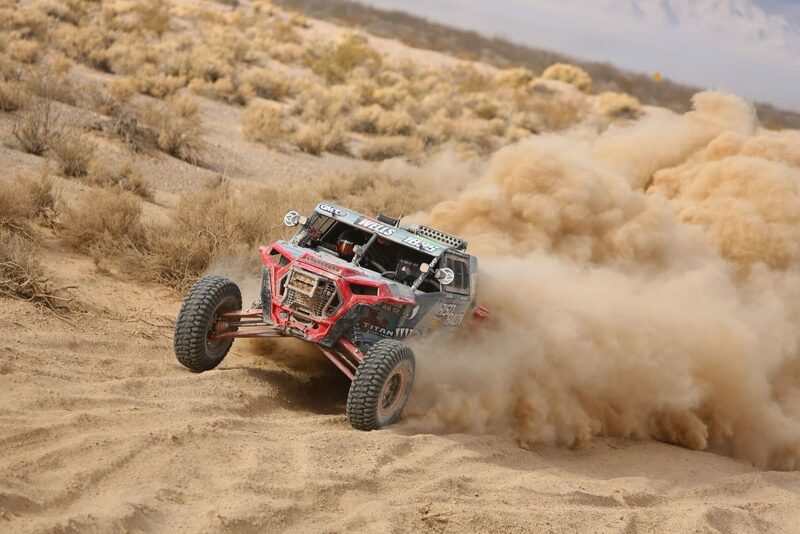 Saturday, 20-year-old Kaden Wells placed second in his category in the Pahrump Nugget 250, but scored enough to retain his points lead and emerge as the overall champion for his racing class in the 2018 Best in the Desert series. 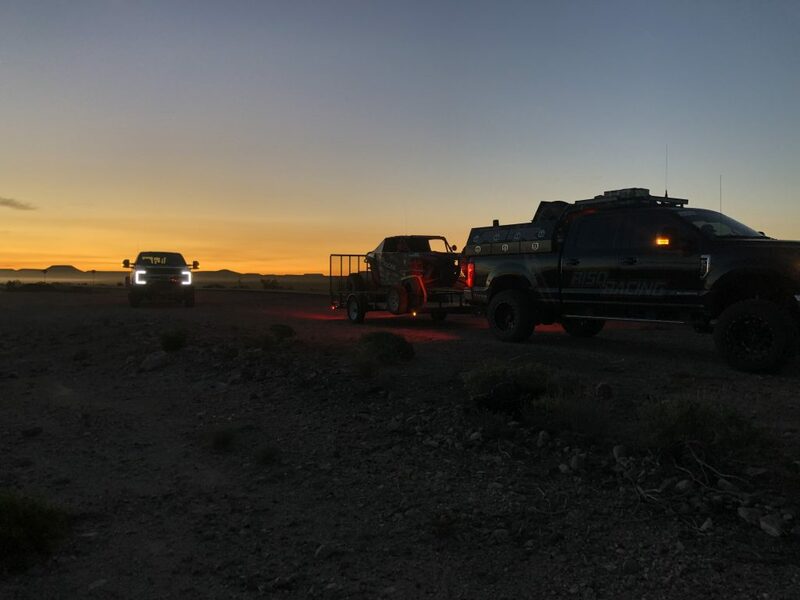 He completed the 244-mile loop across the Nevada desert terrain in just over five hours. “He started off in third and quickly moved into the No. 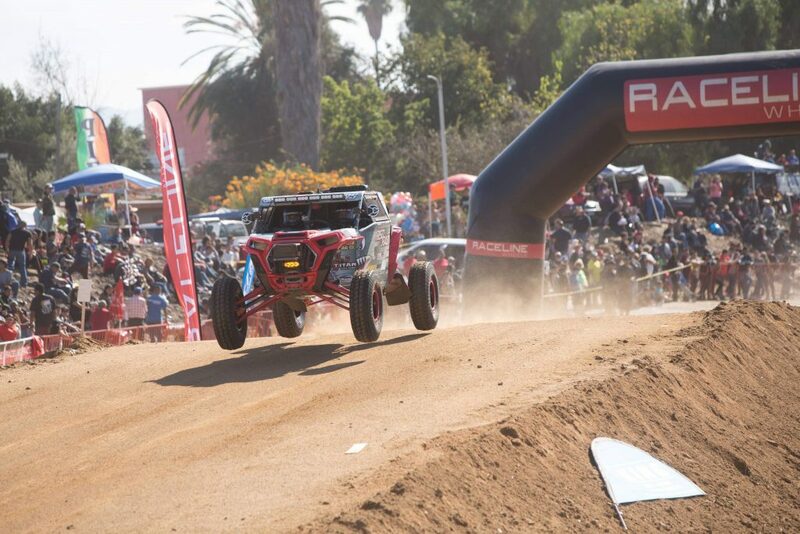 1 spot for the majority of the race,” Kaden’s mother Libby Wells said. 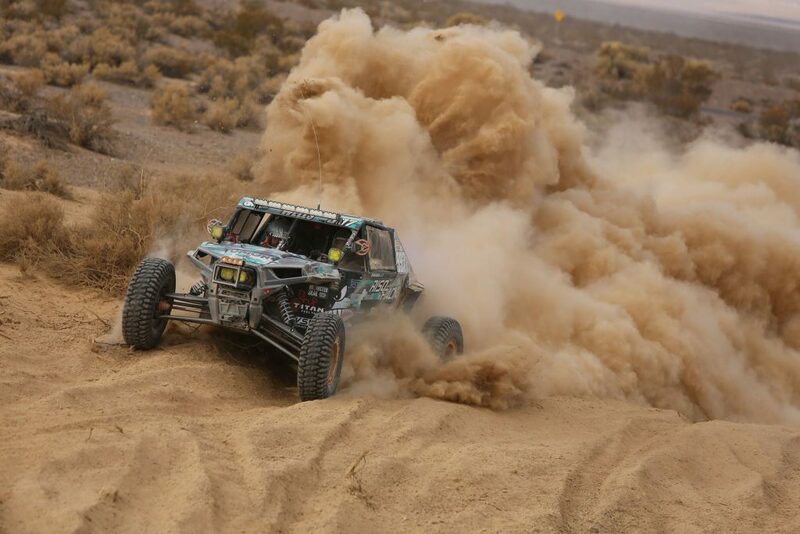 Meanwhile, Kaden’s older brother Corbin Wells, 21, finished 14th overall in a different racing category at Pahrump. 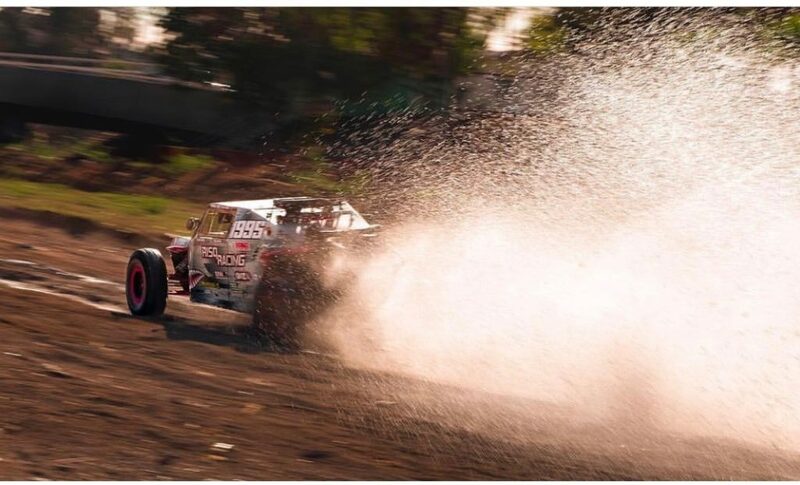 Kaden drives vehicle No. 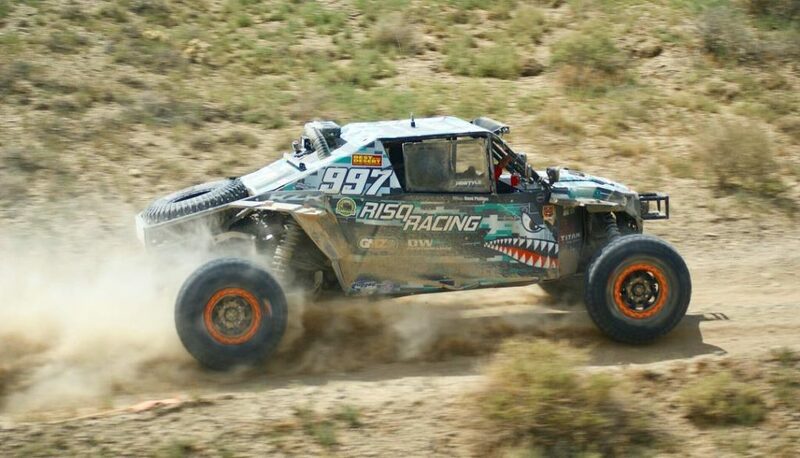 1895, which competes in the Pro UTV 1000 NA class, referring to production vehicles with naturally aspirated engines, whereas Corbin’s vehicle, No. 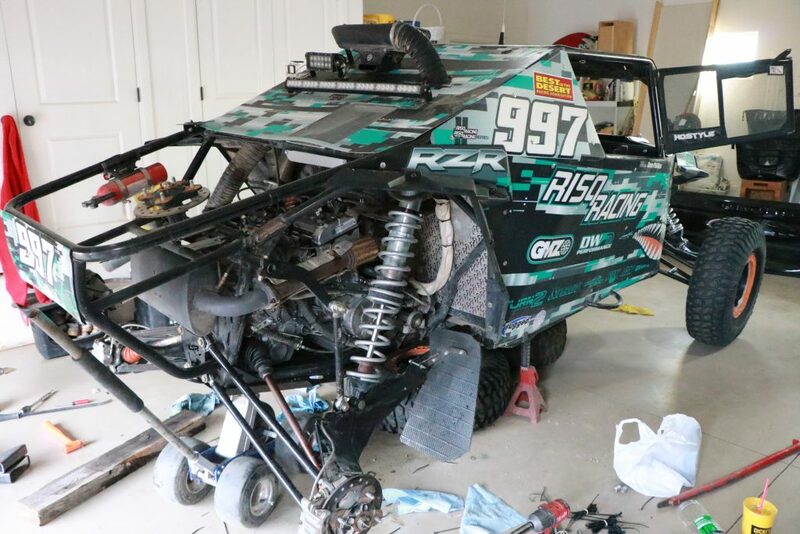 997, is in the Pro UTV Turbo class, meaning it has a forced air induction system. 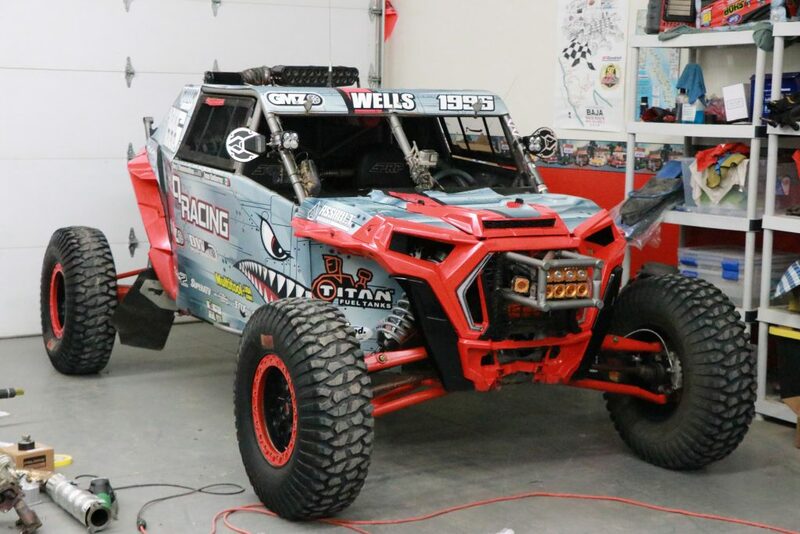 These aren’t the kind of off-road vehicles one can simply purchase at a UTV dealership, however. 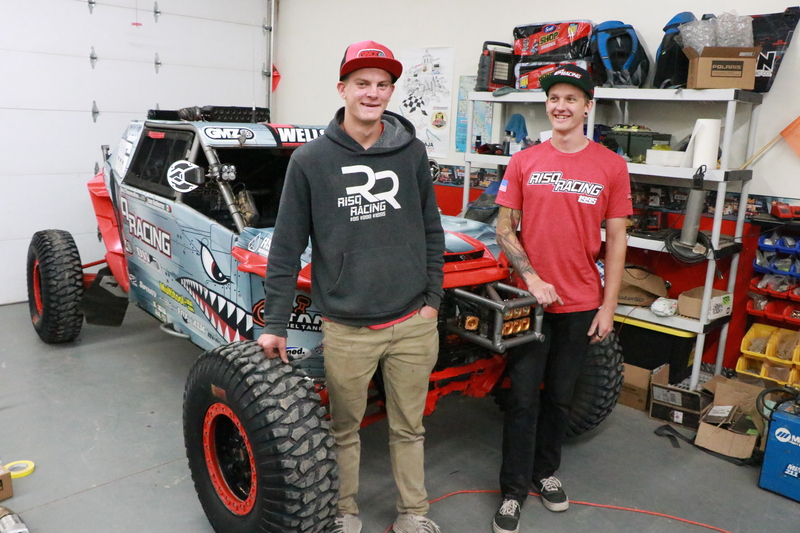 The Wells brothers and their dad Travis have custom-built the cars entirely from the ground up, using parts from Polaris and other sponsors. 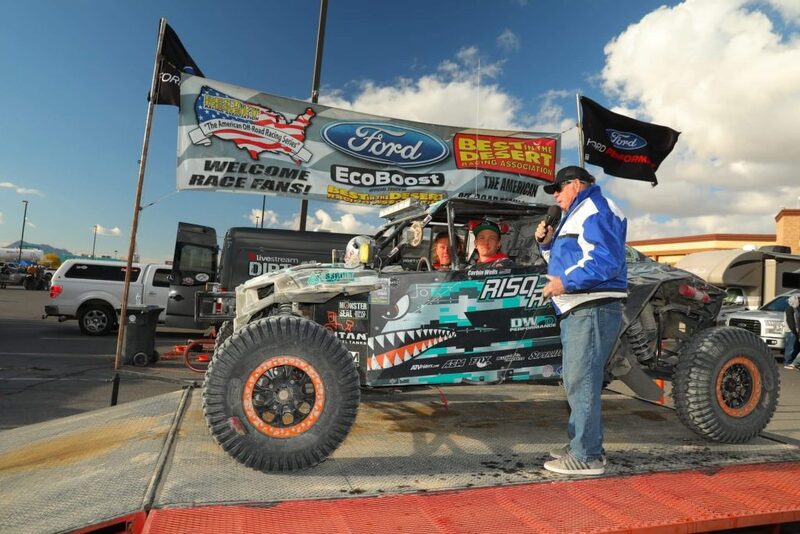 The Wells family owns and operates their own racing team, called Risq Racing. 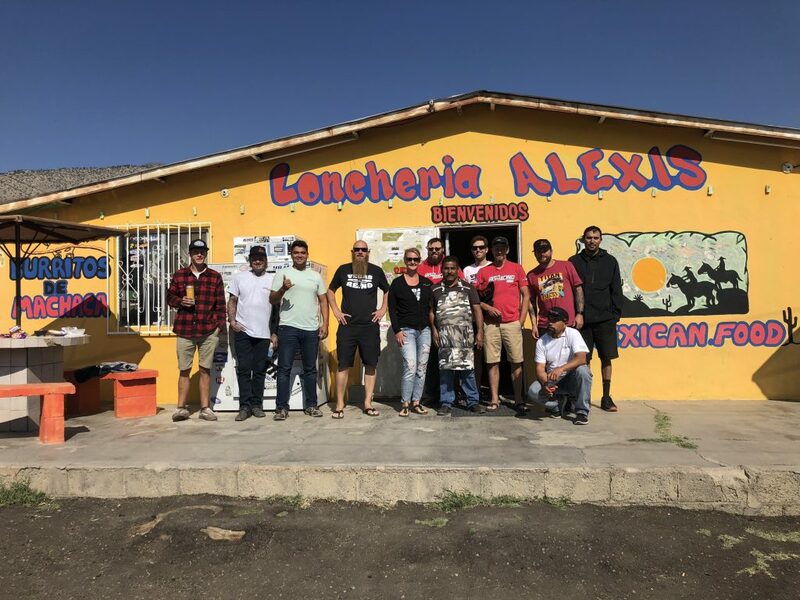 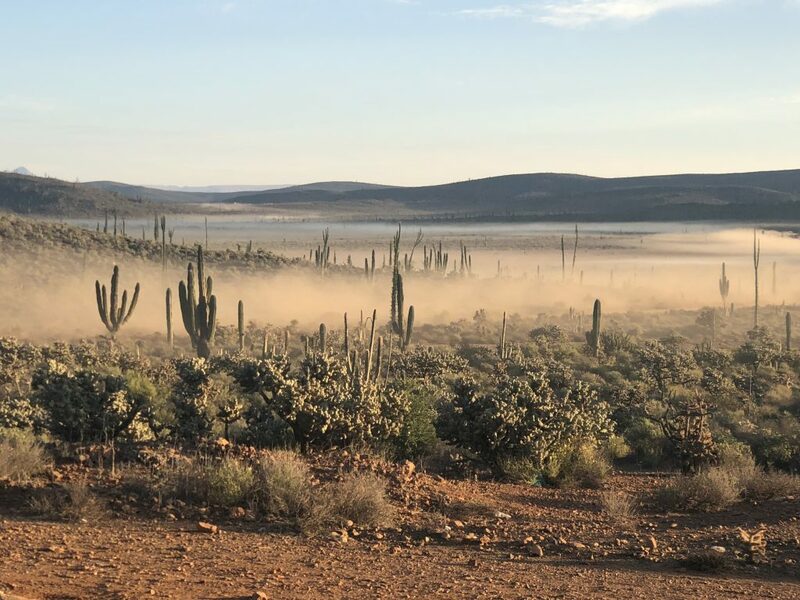 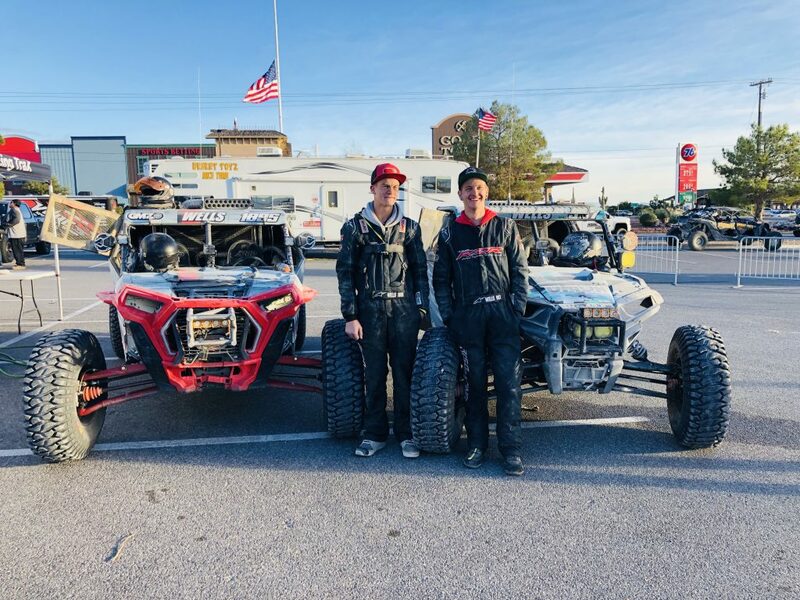 A couple weeks before the Pahrump race, in mid-November, the brothers teamed up to place second in their class in the 51st annual Baja 1000, completing a grueling 807-mile loop around the northern portion of Mexico’s Baja California peninsula in just under 26 hours. 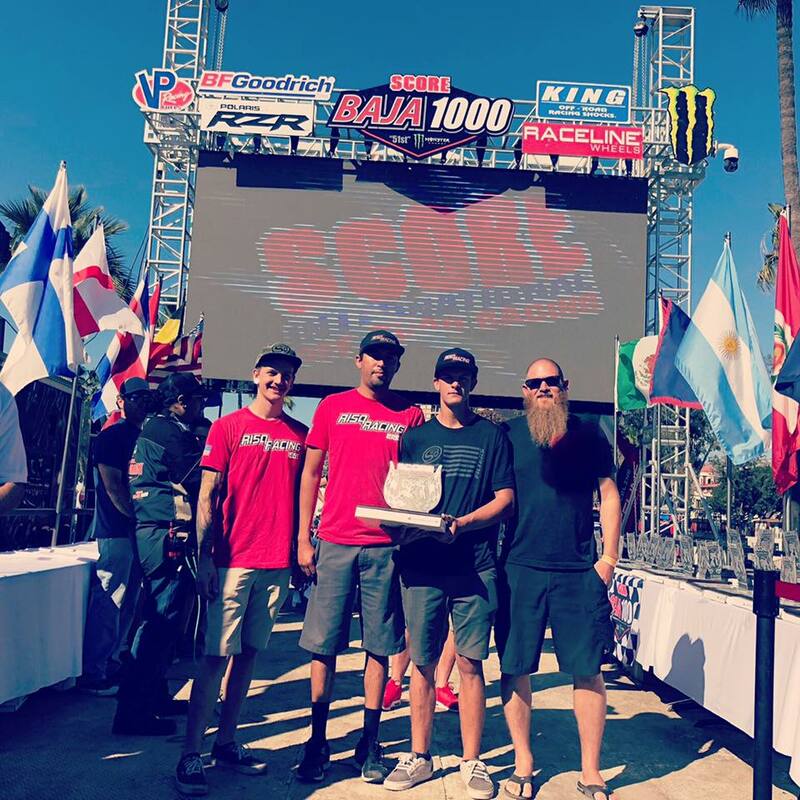 That runner-up finish gave them the 2018 SCORE International points championship as well. 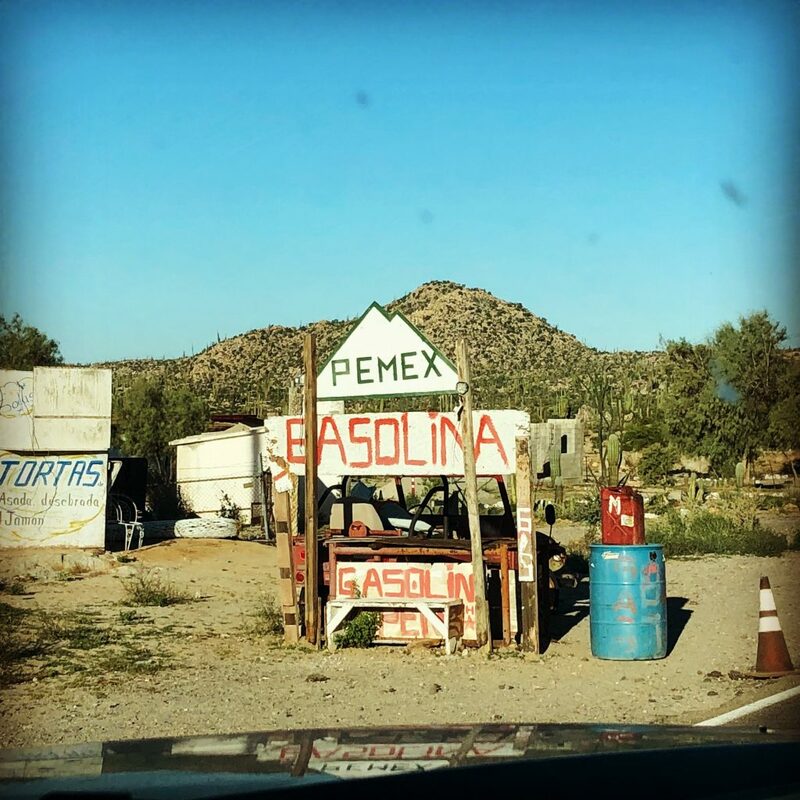 In that event, which began and ended at Ensenada, the Wells brothers took turns driving the No. 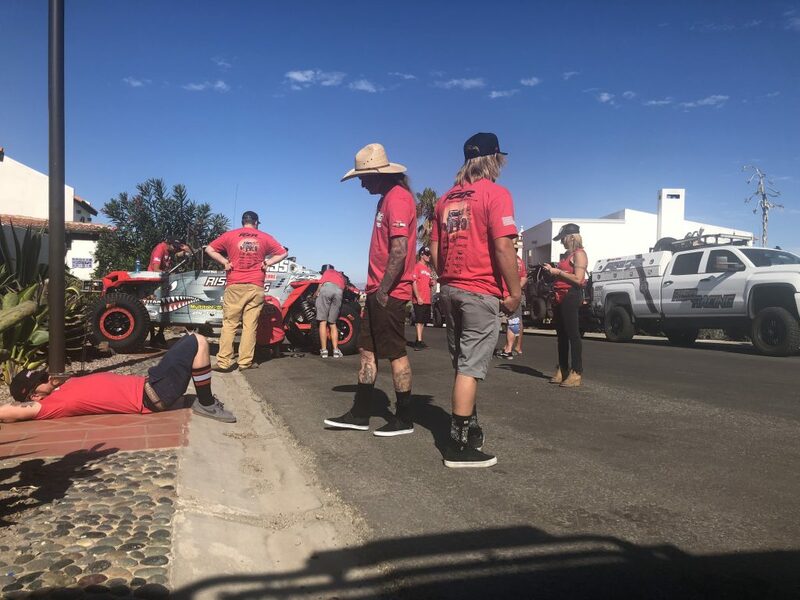 1895 vehicle, with Kaden starting the race and driving to mile 330, after which Corbin drove until mile 600. 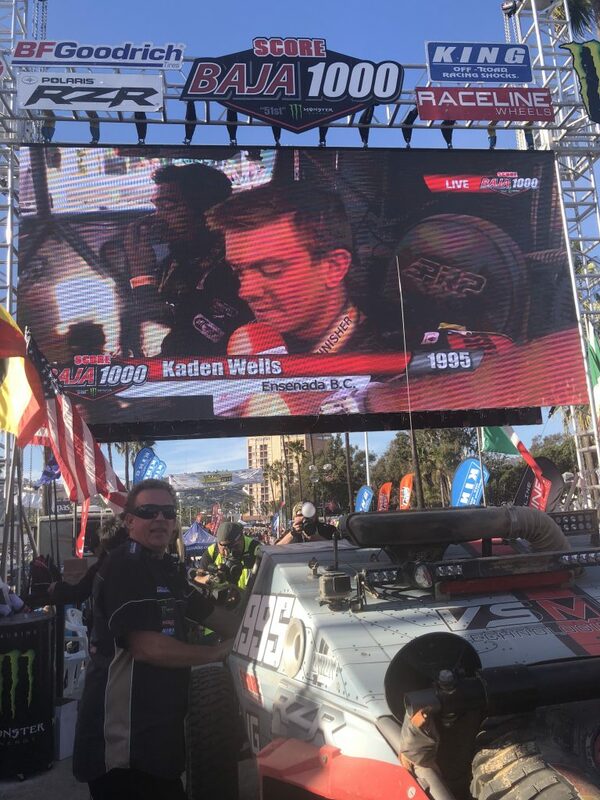 Kaden then took over again and drove to the last 207 miles to the finish line. 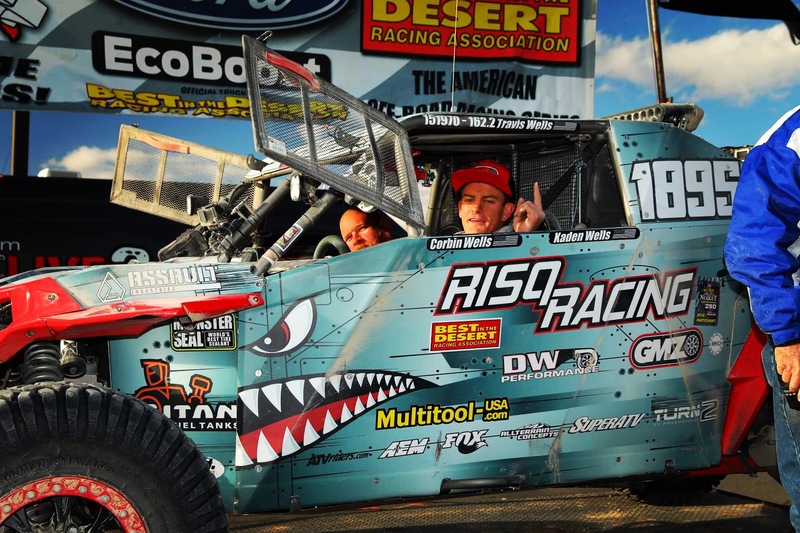 Corbin Wells explained the importance of endurance in such lengthy races. 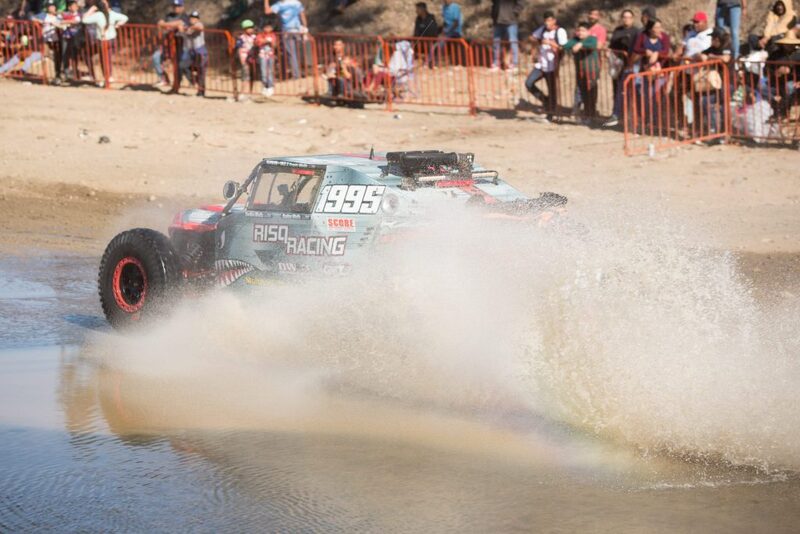 Libby Wells added that speed remains a crucial factor. 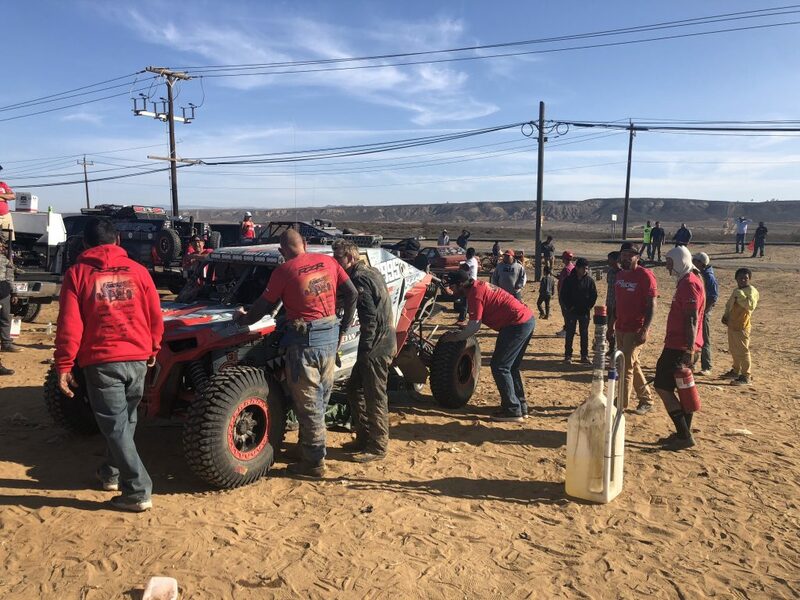 In addition to the four Wells family members, there are approximately a dozen other Risq Racing team members who provide much-needed support, including co-drivers who help navigate, a chase team that helps with refueling and other logistics and a mobile pit crew that can handle just about any kind repairs in the field. 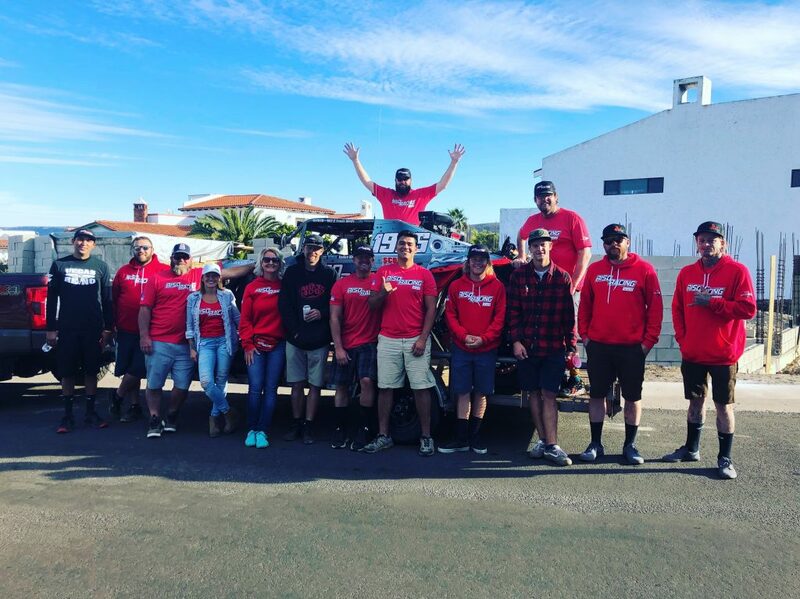 Kaden Wells’ usual co-drivers are Ivan Gutierrez (Mexico) and Rory L’hommedieu (U.S.), while Eric Clay and Dave Phillips typically alternate between serving as Corbin Wells’s co-driver and as a member of the chase crew. 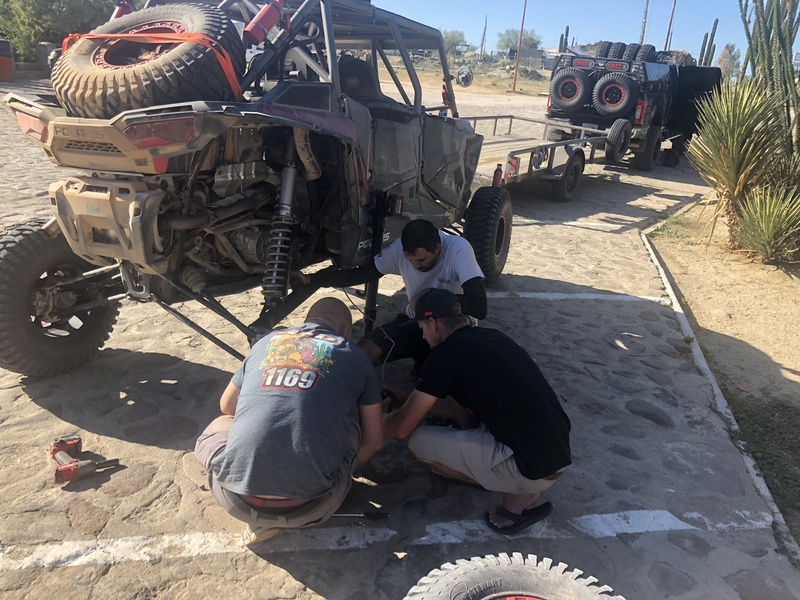 In addition to mechanical issues, desert racers commonly deal with other challenges, including weather and road conditions. 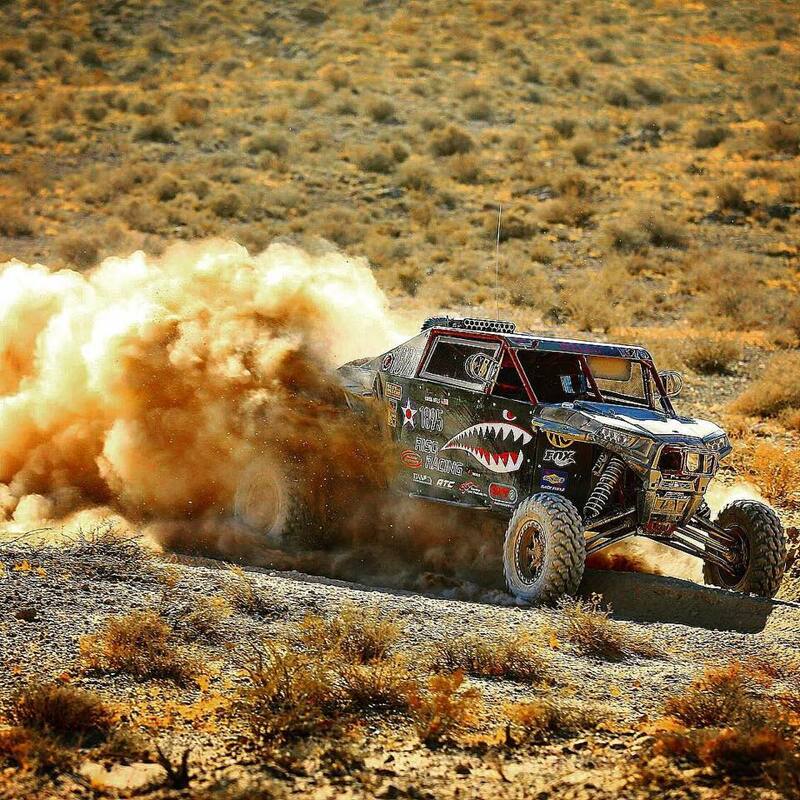 Dust and silt kicked up by the tires often impairs visibility; a fog-like cloud of silt in the dark of night actually resulted in the Wells vehicle striking another vehicle ahead of it during the Baja 1000 race. 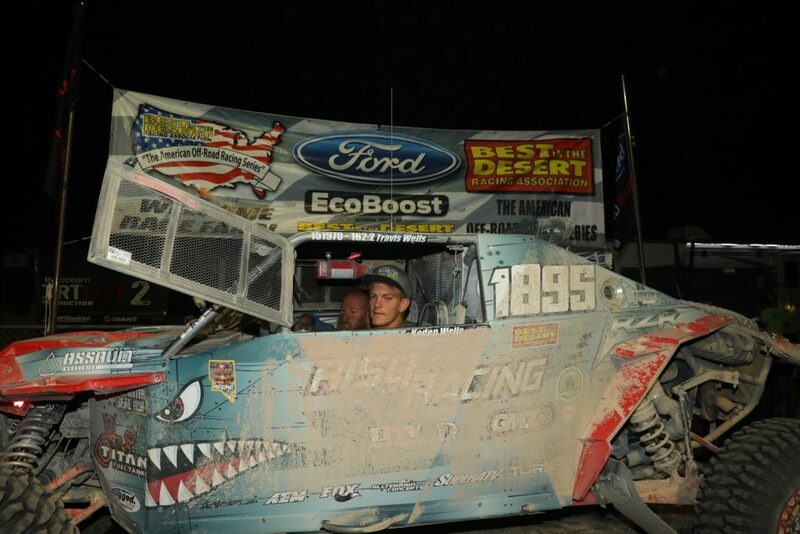 Fortunately, they weren’t traveling very fast at the time, so damage was minimal. 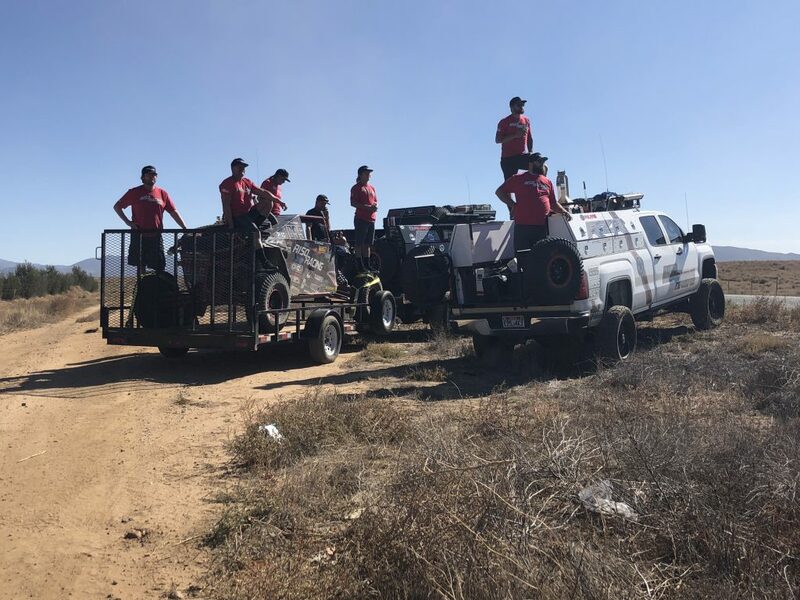 Safety is a top priority on the course, the brothers said, as they are often hundreds of miles from the nearest sign of civilization, with only a satellite phone linking them to the rest of the team. 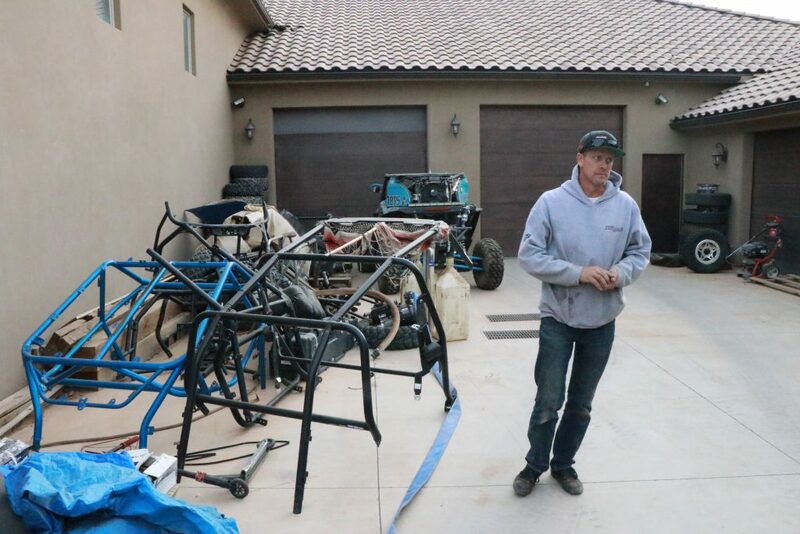 During a recent interview with St. George News at the Wells home, the family members talked of their background in racing, and how they’ve turned a hobby into a business and a main part of their lives. 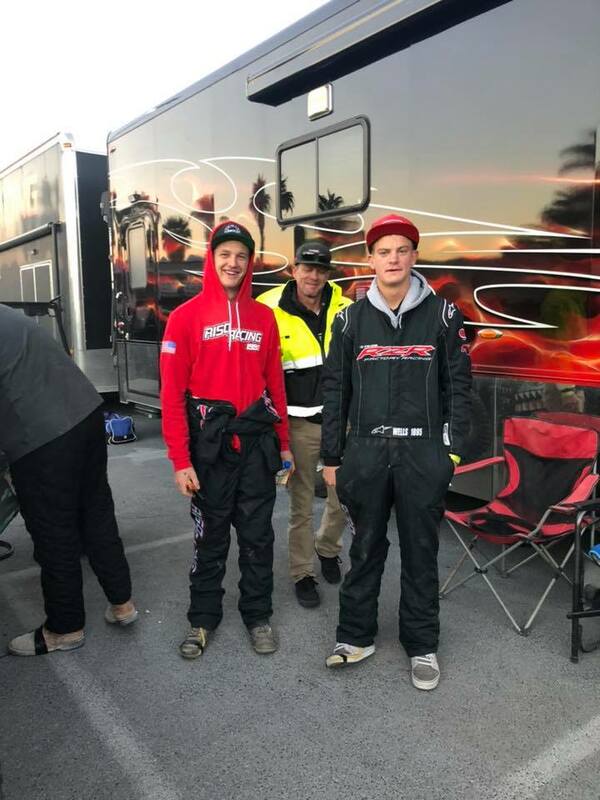 Corbin and Kaden started out by racing BMX bicycles when they were 5 and 3 years old, their mom Libby Wells said, adding that the boys won numerous championships over the years. 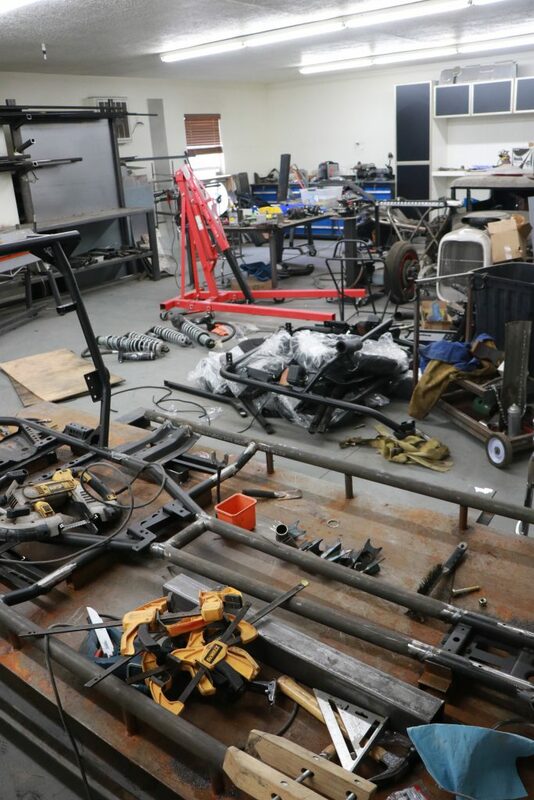 “We quit racing BMX because it was expensive,” she said with a laugh, as she glanced around in one of their garage shops almost completely filled with vehicles, parts, tools and equipment. 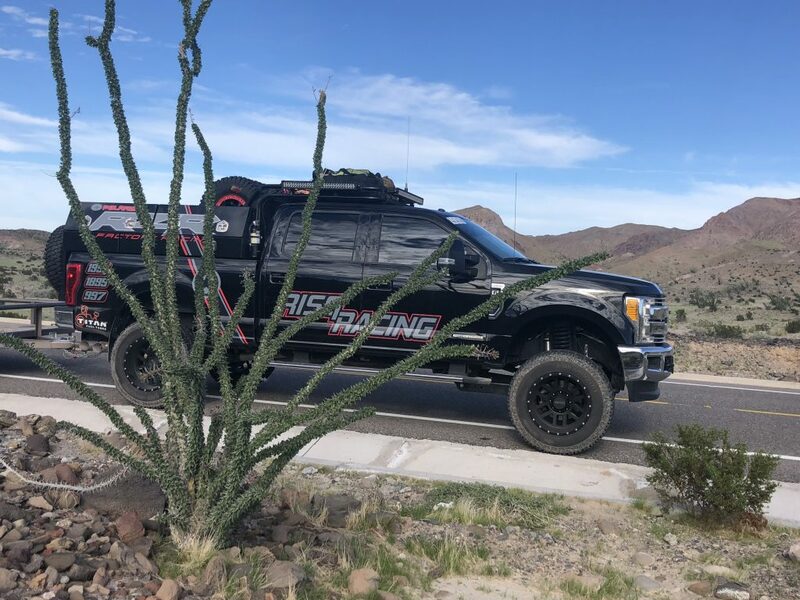 Risq Racing got its name from Risq Threads, a clothing design company Corbin Wells had created during a graphic arts class while attending Desert Hills High School. 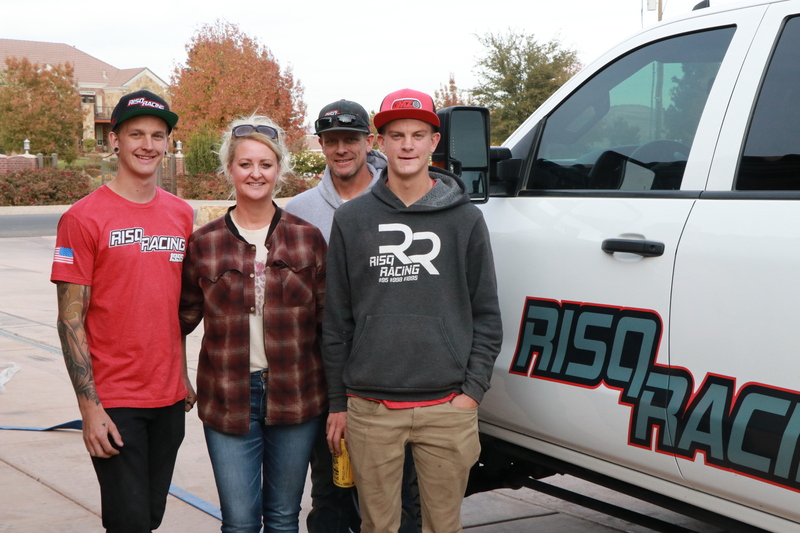 Corbin, who now owns and operates his own graphic design company, has designed all of Risq Racing’s logos, T-shirts and other merchandise. 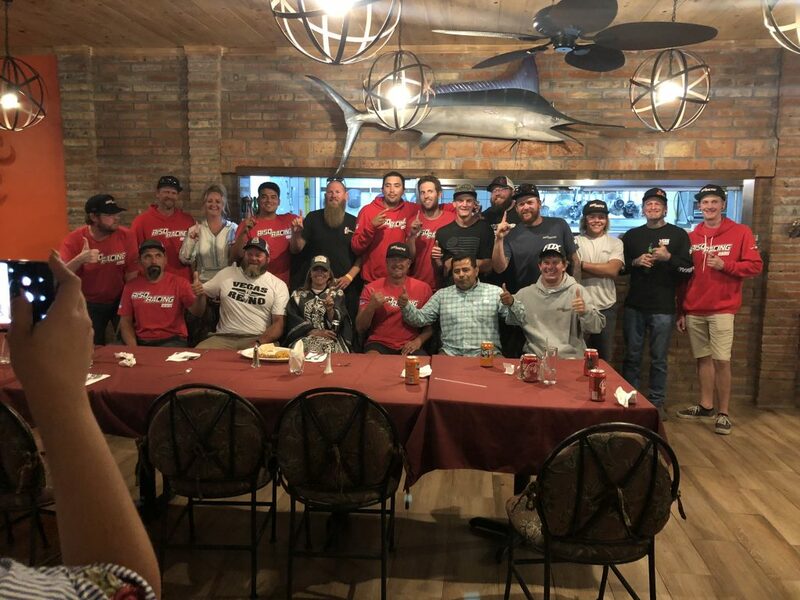 Meanwhile, Kaden Wells, who also graduated with honors from Desert Hills, has followed in his father Travis’s footsteps and is working as a building contractor. 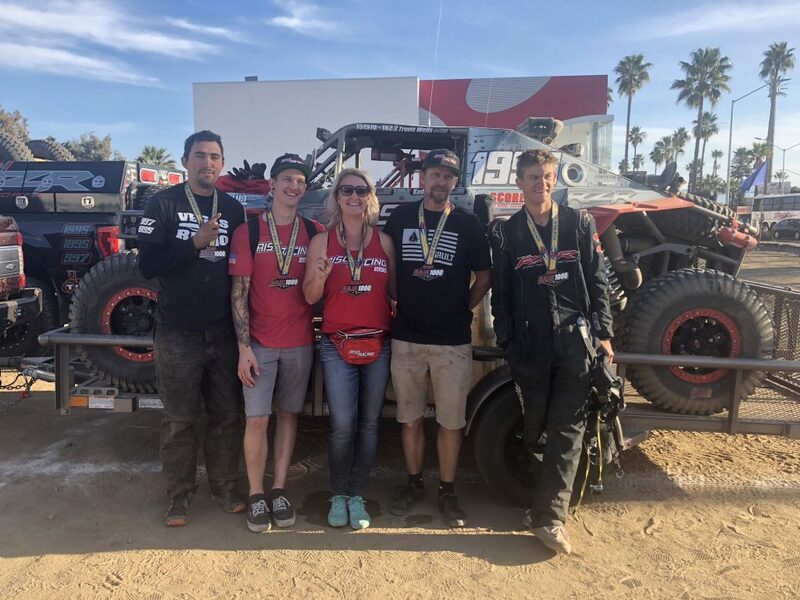 The Wells family is already looking forward to competing in the various desert racing series events again next year, they said as they collectively thanked the other members of the Risq Racing crew, along with their numerous sponsors.